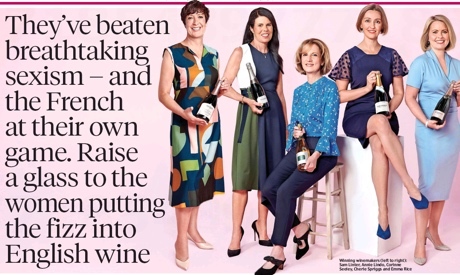 London's Daily Mail featured this week a group of tenacious women "who are battling both the prejudice levelled at English wine and the challenges of being a woman in a male-dominated industry, to bring home the awards, recognition and, most of all, the respect." Pride of place was given to Cherie Spriggs who recently picked up the Sparkling Winemaker of the Year award at the International Wine Challenge. It was the first time a winemaker outside France’s Champagne region had won the industry award, and the first time it had been awarded to a woman.